Making a shift in your living situation, especially into smaller accommodation, is often accompanied by emotional stress, but we have developed some methods that will help you through this transitory time. 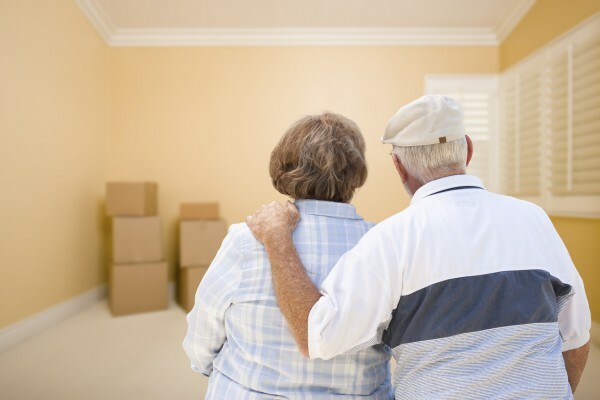 It can be difficult to discuss your feelings and concerns about moving with your loved ones, but it is the first step in achieving a successful move. Loved ones will be there for you – they may help you put together your plan and help out with your move. Visually plan out your new space – if you have a floor plan, you can draw your furniture in the space to create the best layout. The next step is to write down a list of what will stay and a timeline for when each task will need to be completed. If you’re finding that you need to eliminate more items from your list, a good rule is that if you haven’t used something in 8 months it is best to remove it from the list. Collect all the items from your list and colour-code them with stickies, for example green = keep. Then collect and colour-code all the remaining items in accordance with the following categories: sell, donate, give to friends/family, toss. You may want to start with giving away items to friends and family; to ensure no one feels obligated to accept something, you could invite them over on a first-come, first-served basis. Selling items is likely the next step. If you’re not good with computers, ask a loved one to help you take photos of the items and post them on sites like Kijiji and Craigslist for the amount you would like (note, never use your address on these sites, agree to meet at a nearby location for pick-up). Then you can donate the remaining items that are in good condition – organizations like Salvation Army will pick-up the items for you. Finally, the remaining items can be tossed in the garbage, just be sure to shred any sensitive documents. Be sure to book a moving truck and moving team with as much advance notice as possible. If you are moving out of a condo, be sure to let the property management team know and book an elevator for the moving day. If you are moving into a condo or retirement residence, be sure to coordinate the date and elevator with them. Put together a suitcase of everything you would take with you for a week vacation and live out of this for the next few days while you pack and the first few days after moving. Keep this suitcase in the car with you or an easy-to-remove location in the moving truck. Prepare for packing with good boxes from a storage or moving company, packing tape, markers, scissors, and bubble wrap or soft material to wrap breakables in. As you pack, remember to lift with your legs and seek help for heavier items. Fill each box leaving a bit of room at the top to close the box easily. Use ziplock bags to contain small items, such as screws, and grocery bags to contain messy items, such as shoes. Once you pack and tape up a box, remember to label the items in it right away. For items that don’t fit in a box, but you want to carefully protect, try wrapping them in a blanket or placing in a garbage bag – this works well for lamps and paintings. It may be helpful to have a loved one stay at your current accommodation and assist the moving team with the loading while you stay at your new accommodation and direct the unloading. You may also want to keep a few cleaning items at your former place to do a final clean-up. During this time, it’s important to stay healthy; take breaks when needed, stay hydrated and ask for help. All your organization and planning will result in a much easier unpacking experience. Start with the big pieces of furniture and other large items, working your way down to the small pieces. Ideally after downsizing, you’ll have half of what you started with. Now all that’s left is to enjoy your new home!